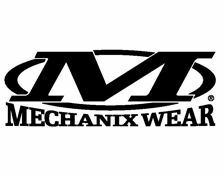 The Mechanix Speciality Vent glove is perfect for weapon handling duties and marksmanship with its perforated palm and mesh top which allow air to circulate freely keeping hands free from sweat and heat build up. This multipurpose glove is also suitable for a range of uses by military, law enforcement , sports and maintenance repair personnel. Further ventilation is also provided on the thumb and trigger finger. The glove has stitch darts and flexible joints to provided better dexterity and comfort. The palm and fingers are touch screen compatible. The Vent is produced with a secure Velcro closure, a nylon pull loop and is fully washable. Sizes –S to XXL. Weighs – 72g. Colour Coyote Tan.